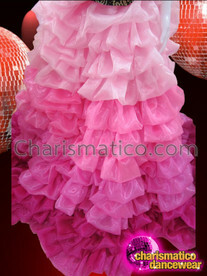 Soft pink and hot pink are a natural pairing in organza. 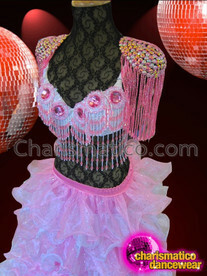 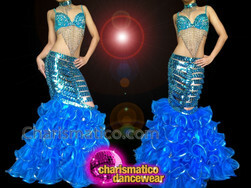 These ruffled sleeves would be a great addition to a corset, a leotard, or as sold with this cute dance dress. 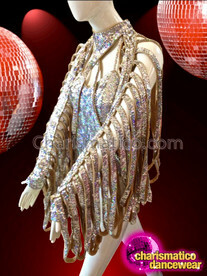 It is a wonderful value that can be incorporated into your wardrobe for even greater versatility. 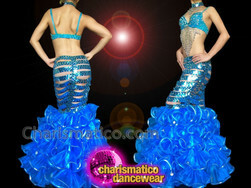 This is a vivid iridescent single shade pillow ruffle boa for the biggest dramatic appeal possible.